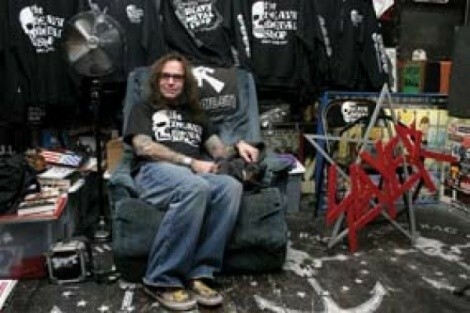 After 21 years in the local music scene you can pretty much write your own rules, and the Heavy Metal Shop is no exception. Here are some tips on what’s current with the nationally renowned store, as told to us by Kevin Kirk, its original, and still very metal, owner. Current favorite album to sell: Alice Cooper’s latest and 25th (!) release, Along Came a Spider. Current local act selling well: Thunderfist, Too Fat for Love. Recent in-store concert that made a stir: Michael Dean Damron in mid-October. Things to check out: The Heavy Metal Shop merch. You aren’t really a fan of the hard side of music in Utah unless you’re rocking the classic half-skull logo. What should Jon Paxton spend his hard-earned money from this assignment on? Michael Dean Damron’s Bad Days Ahead. It’s only $10 right now. Only reason to go online: Search YouTube/HeavyMetalShop and you’ll find all the chock-full-o’-evil in-store performances you can stomach.